Sudesh Arora is president and chief executive officer of NATEL Engineering Company, Inc., a privately held aerospace and defense electronics design, development and manufacturing company. 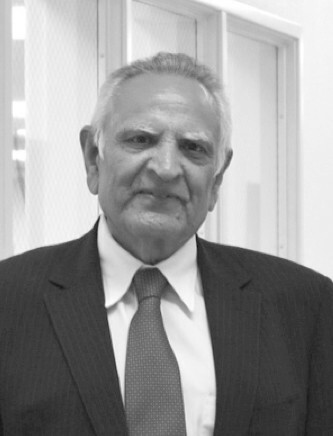 He founded NATEL in 1975, and his leadership led the company to numerous outsourcing contracts as well as the US Small Business Administration’s Regional Subcontractor of the Year Award for 2003. Previously, Sudesh worked for Gulf Research and Development Company, where he developed a sophisticated sulfur analyzer, which won the coveted IR-100 Award from Industrial Research magazine as one of the 100 most significant developments of the year. A member of MENSA, Sudesh obtained his Bachelor’s degree in electrical engineering from the Indian Institute of Technology in Bombay and his Master’s degree (MSEE) from Carnegie Mellon. Sudesh has financially supported the construction of Pratham’s vocational training centers in Aurangabad, Latur, Bapatla, Bhopal, Ralegaon and Pilani. He also helped Developments in Literacy to build the Mandianwala School in Pakistan and, in 2009, gave rent-free space to the Jennifer Diamond Cancer Foundation for their operations.